October is among us friends! 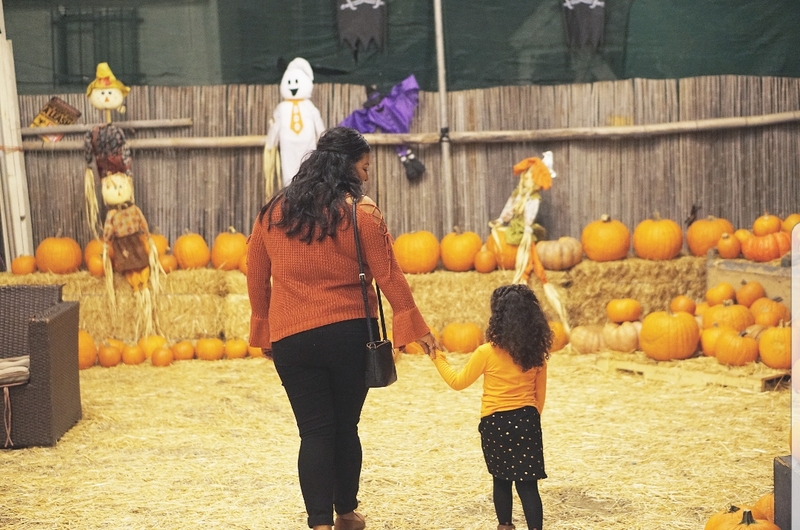 So you know that means… grab your kid(s), a lattè, and head on over to a pumpkin patch! 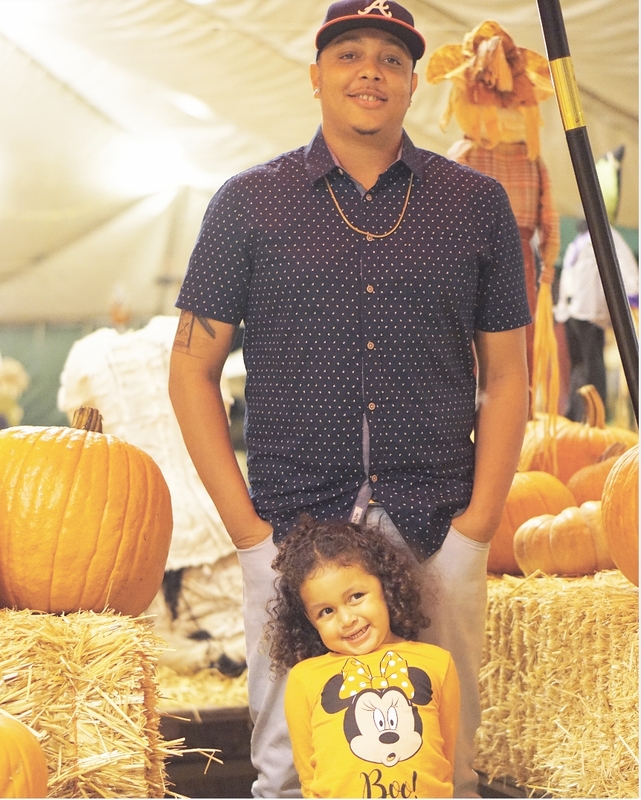 Last night felt like the perfect chilly night to go to our first pumpkin patch. Last year, we had the opportunity to take Leya to one for the first time and she loved it, so this year we knew it was a must. Certain areas around San Diego I obsess over, and will honestly just look for an excuse to go. ☺ Encinitas happens to be one of them. I love its vibe and hidden gems, and how private and quaint it can be. The other day, we happened to drive by a pumpkin patch located on Manchaster Ave and got sucked in by just driving past it. We knew we had to go back to that one. So, yesterday that’s where our evening was spent. What I love about pumpkin patches is that a lot of the times they’re put together by the community or they’re family owned. It’s a fun way to interact with the community and other even other parents, depending on how comfortable you are starting conversation. I personally am not the best, but if you’re a parent you know we have things in common and we’re bound to relate on some level, thus starting a conversation. Bring cash. Some of patches are cash only. Bring comfortable clothes. This one is hard for me at times because I know I want to take pictures and look cute, but trust me if there’s something fashionably comfortable you can wear, do it. If you’re parent you will most likely be doing activates with your kids, which means lots of chasing around. Pack light. If you’ve never been to a pumpkin patch, you wouldn’t know that there’s nowhere for you to set down your belongings. So ladies perhaps a small clutch is best or something with pockets. Guys, you never have to worry about this. If you’re in to buying fresh Christmas trees, then I highly recommend the patch I went to. They use your entrance ticket to get a discount on a tree. I’m more of a fake tree buyer myself, therefore I’m not entirely sure how pricey real trees are but I figured I’d share it with you all. 🙂 So when October is over, they usually start brining in the trees! Click here for the address.